Hyundai revealed a refreshed Tucson Wednesday at the New York Auto Show. In addition to the nipped-and-tucked exterior, the 2019 Tucson gets whole new insides and more standard safety tech. Admittedly, you'd either have to own or be pretty into the Hyundai Tucson to pick up on the external changes. 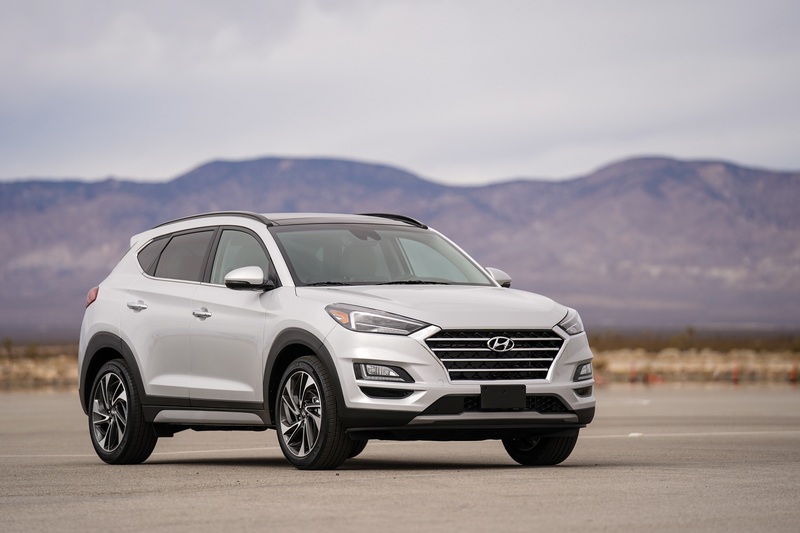 A slightly reshaped grille puts it in line with the company's "cascading" corporate face, especially its recently redesigned Santa Fe big brother. 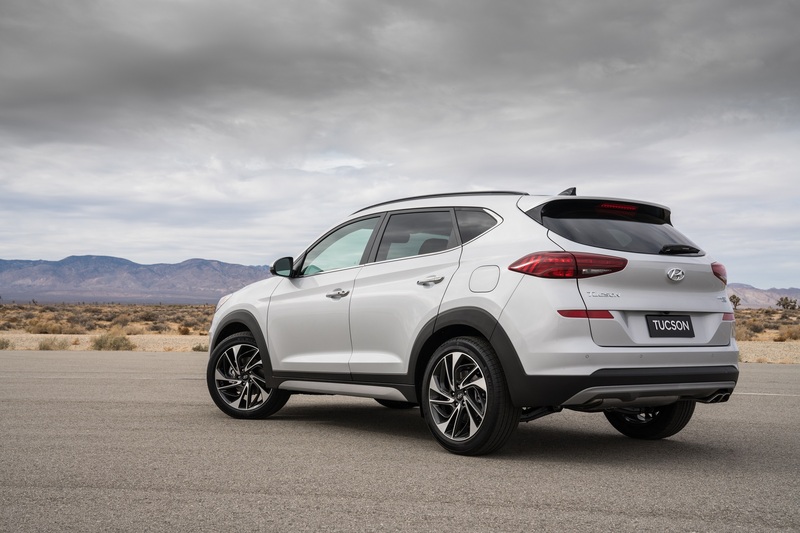 "From a design perspective, onlookers will recognize a generational harmony between Hyundai’s new 2019 Santa Fe and the refreshed Tucson," said lead designer Chris Chapman. New headlight and taillight designs join redesigned wheels in keeping the compact crossover fresh. Climbing inside, the Tucson's cabin now also resembles its more recent family members with a completely overhauled dash sporting a high-mounted 7-inch screen flanked by physical knobs and buttons. Forward Collision-Avoidance Assist and Lane Keeping Assist are now standard on all trims. The former warns the driver of oncoming obstacles and can automatically hit the brakes if it detects an imminent crash while the latter detects and corrects the Tucson drifting out of its lane at speeds more than 40 mph. Also available but not standard are a USB charger in the second row and Qi wireless charging, ensuring that the Instagramming, Snapchatting, and Netflix 'n Chilling never has to end. Oh, and before we forget to mention, Apple CarPlay and Android Auto come standard. The 2018 Hyundai Tucson starts at $21,300. Official pricing for the facelifted 2019 version has yet to be announced but we don't expect things to change very much.